You'll probably want to use some keyboard shortcuts when reading a Kindle book. To avoid distractions because of using the mouse, take a look at the shortcuts below. To use these shortcuts, you must enable Text-to-Speech first. Press "Cmd + T" or select the Tools menu and chose Start Text-to-Speech. Note: This feature only works on eligible Kindle content. You can configure the Text-to-Speech language from the System Preferences on your computer. 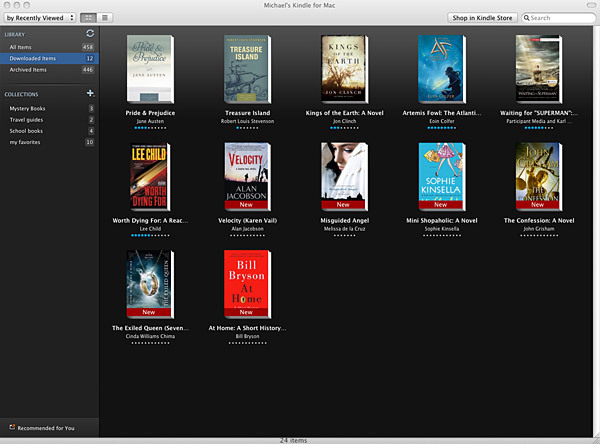 Kindle for Mac allows ebooks from Amazon's store or personal ebooks to be read on a Mac. Therefore it doesn't require the user to have a Kindle device. What is your favorite Kindle for Mac hotkey? Do you have any useful tips for program? Let other users know below. Thanks for the shortcuts. The "Decrease speech rate." is very useful. You're welcome! Glad it worked for you.